Daniel is originally from West Orange, New Jersey. 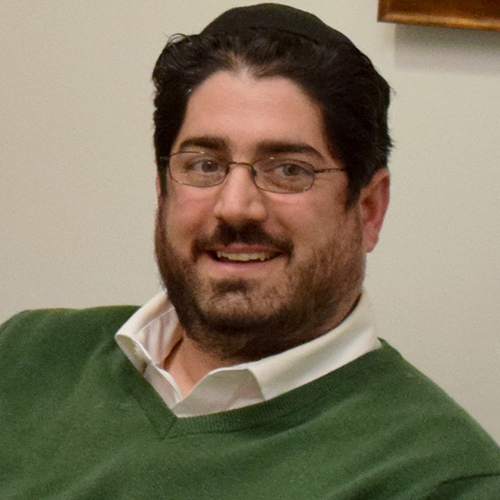 Since receiving semicha, Daniel has served as assistant Rabbi of Congregation Sherith Israel in Nashville, Tennessee, summer Rabbi at Congregation Agudath Achim in Bradley Beach, New Jersey, and Hillel Director and OU Seif Jewish Learning Initiative on campus educator at the University of Guelph in Ontario. Daniel is currently the Executive Director of the Hillel at Temple University: the Edward H. Rosen center for Jewish life in Philadelphia. Daniel lives Bala Cynwyd, PA, with his wife Naomi and their four children (Yonah, Leah, Atira, Yair).